Rehabilitation is vitally important for patients living with and beyond cancer to enhance their quality of life and help them gain control and focus on areas of importance within their life. 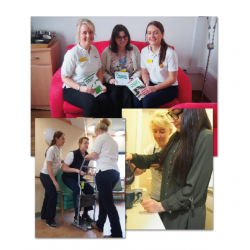 A two-year project by the Macmillan Therapy Team provides education for the local workforce in the delivery of rehabilitation across the patient pathway from diagnosis through to end of life care. It has enabled a specialist occupational therapist and physiotherapist to integrate within the specialist palliative care multidisciplinary team, in order to improve continuity of patient care, build strong links and adopt a holistic approach for patients within this specialist area. 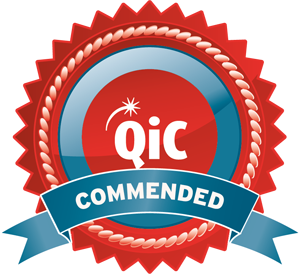 One of the biggest drivers for the project was the lack of specialist allied health professionals (AHPs) dedicated to the oncology and palliative care community service. This resulted in poor continuity, and disjointed practice between professionals. More importantly, the patient was not viewed in a holistic way therefore certain problems which were significant to the patient were not being identified and addressed. Resources were wasted and there were unnecessary admissions to hospital. To support other professionals and increase their knowledge and skills. To provide self-management support to patients and carers and to offer individual care plans to patients. To enhance the patient experience.